Toronto and Region Conservation Authority (TRCA) owns 118 residential rental homes, rents more than 2,534 acres of land for farming purposes and has 15 lease, trail and field school agreements. TRCA’s rental homes are located in the City of Toronto and the Regions of Durham, Peel and York. These houses are in picturesque locations on the Lake Ontario waterfront or adjacent to a river valley. If you are interested in renting one of our homes, please see the current listings below, or contact us at 416.661.6600 ext. 5297 or e-mail lvalente@trca.on.ca. There are currently no residential rental homes available. Please check this site frequently for upcoming opportunities. TRCA uses land securement as a tool to protect environmentally significant natural heritage lands; to regenerate and rehabilitate of degraded areas; and to provide relief from flood and erosion hazard. 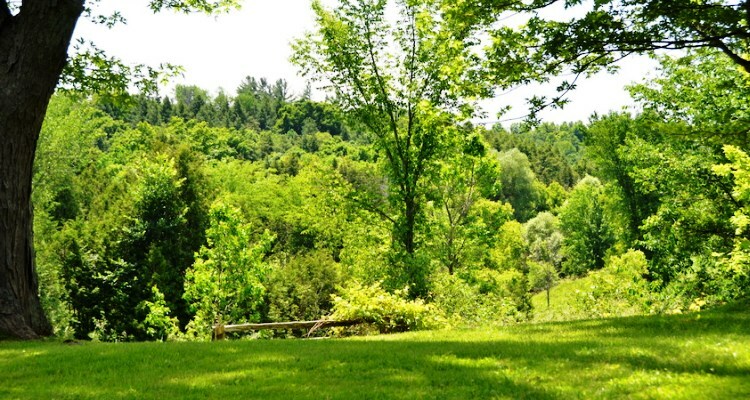 These lands consist of valley and stream corridors, the Lake Ontario waterfront, wetlands, kettle lakes, woodlots, flood control and reservoir lands and significant properties along the Niagara Escarpment and Oak Ridges Moraine. The majority of the Toronto region’s extensive park and open space system is situated on TRCA lands. TRCA lands represent a greenlands system that offers a variety of opportunities for public use and enjoyment that are compatible with the resource base. The main challenge we face is continuing the protection of the region’s greenlands through securement in the face of unprecedented growth and reduced funding from our traditional partners. TRCA secured 912 hectares of greenlands between 2011 and 2015 as part of the Greenlands Acquisition Project for 2011-2015. In September of 2015 TRCA adopted a new 5-year project for acquisition entitled Greenlands Acquisition Project for 2016-2020. The purpose of the document is to provide background about, and implementation tools for, the acquisition of greenlands by TRCA. Fee Simple – This is the purchase of the total interest in a property. Full ownership is the most effective way to protect greenlands. Easements – This includes Conservation Easements. Easements are the acquisition of specific or limited rights of use from an owner. Easements can provide for the protection of a resource, trail construction, public access, and construction and maintenance of regeneration works. Covenants – Covenants restrict an owner from undertaking specific activities on all, or a portion, of the property to protect a resource or restrict the filling of lands and/or the building of structures. Leases and Agreements – Leases and agreements, depending on their terms, can range from little more than a right to occupy to almost an equivalent of fee simple interest. Greenlands Acquisitions Project for 2016-2020. For further information, contact TRCA’s Property and Risk Management Division.